El Nino is a natural occurrence that leads to different effects around the world. It is basically characterized as having warmer than usual waters in an area, which can bring much wetter weathers over some areas. It occurs fairly often enough for scientists to be able to predict them, but not quite as often for everyone to be constantly prepared. No worries, however - it is never too early to start getting ready for El Nino. This natural phenomenon can create devastating effects on an area and its residents, so it’s best to always prepare for El Nino beforehand, both by improving and learning emergency routines as well as making sure that your house is as safe as possible for you and your family to take refuge in should any major things happen. Continuous heavy rains can definitely take its toll on any house. Even the strongest houses can be affected by weather that is slightly unpredictable, such as those affected by the El Nino. A bout of strong rains can seriously damage houses that already have some leaks or even weak roofs. The small problems and issues a house already has can easily be worsened by unpredictable weather conditions such as El Nino. Roofs can cave in and small holes can become large ones that flood the insides of houses. 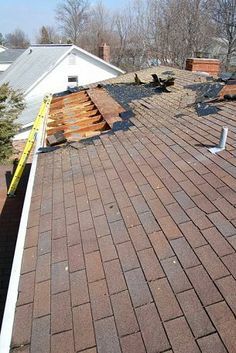 To help prepare yourself against the possibilities, it is best to have your roofs inspected by professionals as soon as possible. It is important to make sure that your roof is sturdy because it will be the first thing that the rains will hit. Some new roofs may only require minimal maintenance but roofs that had been installed for 15 years or more may need some radical repairs or even replacement. It is quite important to prioritize the repair of your roof since it basically protects the rest of the house. Choosing a contractor to have your roof fixed is a very important task. Make sure that your choice in preventing leaks is reliable, since amateurs can only damage your home further and make it very vulnerable to the weather changes. Make sure that you start searching as soon as possible for people who will be able to fix your roofs to prevent leaks and worse damages because the El Nino may cause a lot of reservations to be made from an area. Searching too late can leave you with an uninspected roof that might receive too much damage that it cannot handle during the El Nino period. The El Nino is a harsh weather prediction, so it is of the utmost importance to prepare very well for it. Make sure that your house is ready to take on whatever nature will bring. Have your roof checked, inspected and if necessary, repaired or replaced, as soon as possible. It will make you so much safer during the El Nino months.